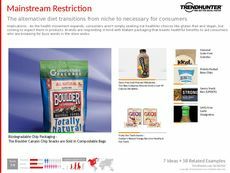 Find Better Ideas, Faster ® with a custom health packaging trend report, our PRO Dashboard and 80+ categories of premium trend reports. 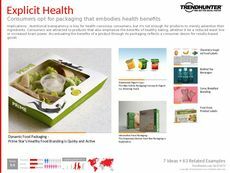 The Health Packaging Trend Report examines how nutritious food is communicated through creative packaging. 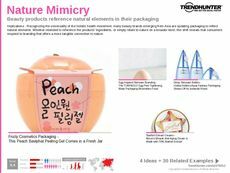 Often health food relies on vibrant and colorful packaging to relay the message of freshness, as well as a flurry of healthy branding statements, ingredients and information integrated into the package aesthetic. In contrast, other health food and products rely on minimalist and refined designs as a way of showcasing the quality of the product itself. 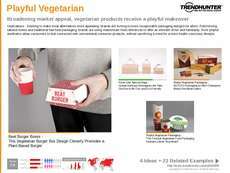 This report is geared towards package designers, health food producers, nutritionists, healthcare professionals, brand strategists and marketers. 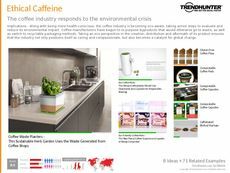 Use Trend Hunter's crowdsourced data to remain up-to-date with the latest health packaging trends, and gain insight into what designs are grabbing consumer attention. 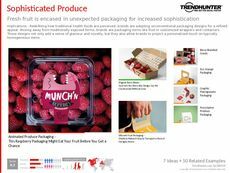 Use the Health Packaging Trend Report to keep a watchful eye on your competition, as well as a gateway to spark ideas for your next product launch.